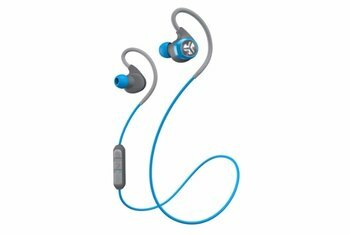 The earbuds deliver solid audio performance with about 10 hours of battery life. The package includes a generous array of accessories. The splash-proof design gives a secure fit--most of the time. 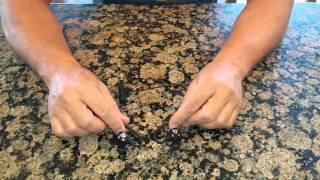 Audio purists may not enjoy the heavy bass presence. The microphone position is not impressive. The charging cable is super-short, relative to cables from other products in its class. This set of Epic Bluetooth Earbuds uses JLab's Memory Wire over-ear hooks, which drape around your ears. The package includes six gel tip sizes and mini-cable clips to increase your chances of achieving a solid fit. 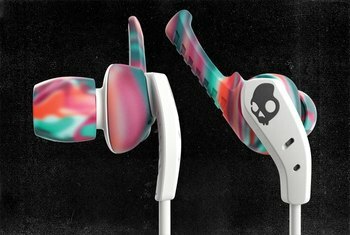 The earbuds boast an impressive 10 hours of battery life. They are sweat-proof, splash-proof, and washable. Use the integrated universal controls to make calls, manage tracks, adjust volume, and talk to Siri. 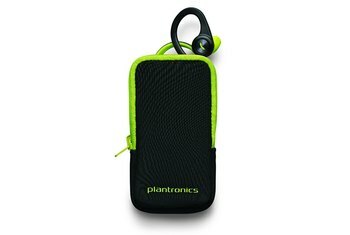 The product comes with a lightweight eco-leather smartphone case; the case is stretchable and can be converted to a belt clip. 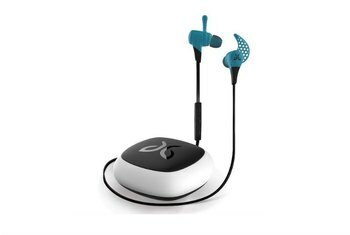 Even though the headphones are equipped with modern Bluetooth 4.0 technology, I did experience – 2 or 3 times per hour of running – short interruptions in sound playback. The interruptions were very short, sub-second, and I cannot say that it was annoying. 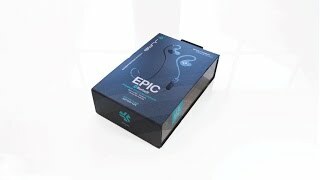 If tracks with deep bass push you to work out with more intensity, as is common, then perhaps the added low-end from the Epic Bluetooth is ideal. From a pure audio standpoint, the bass here is boosted too dramatically. Once you have finished charging these, and you should really give them a really good first charge of around four hours, they will last up to 10 hours which is astounding (may vary depending on playback volume). [T]he memory wire wrap-around for the ears works great, keeping the earbuds in place while exercising...I own many different models of JLab headphones and these are by far the best fitting I've had yet. 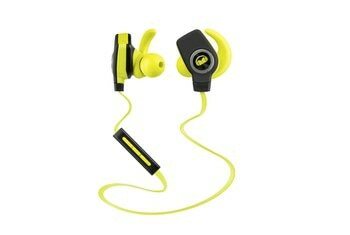 They sound great, are sweat-proof and splash-resistant, fit well, and stay in your ears. Hands-down, the most important thing for exercise fans is having headphones that stand up to sweat—and don’t pop out. 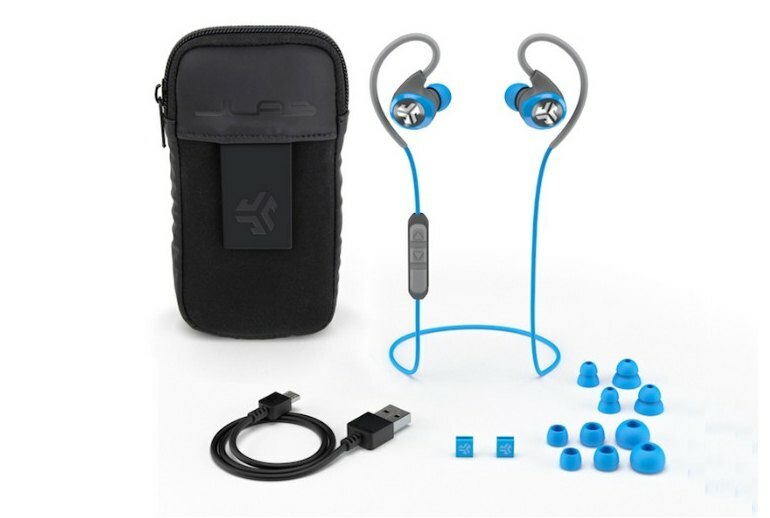 JLab’s washable Epic Bluetooth Earbuds create a solid seal in an active user’s ears, stay put, repel moisture, and deliver great sound. 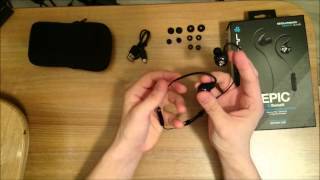 JLab Epic Bluetooth Earbuds Unboxing & Review!